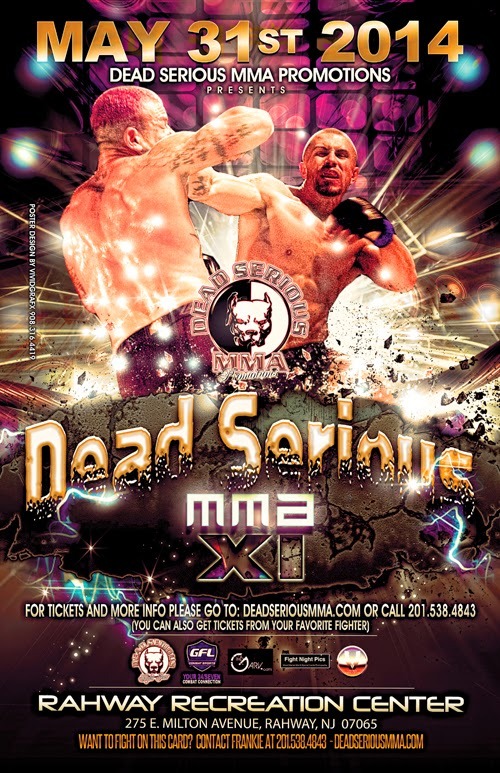 The eleventh installment of the Dead Serious amateur MMA promotion is going down at the Rahway Rec Center in Rahway, N.J., on Saturday, and if the preliminary card posted on mixedmartialarts.com is of any indication, bring a sleeping bag - there's going to be a lot of fights. Obviously, the roster now isn't likely going to remain intact once weigh-ins are done and fighters have their last chance to disappear into the ether, but man, going to a show with over 15 bouts is more of a commitment that marriage. Regardless, I plan on being there, so expect live updates and whatnot.